During December, just about everyone is getting ready to decorate the house for the holidays. This will likely include several decorations in the living room and any other area in which family and friends will gather. But, have you thought about the fire hazards that present themselves during this time of year? If you haven’t, don’t worry. The Powell Group at Keller Williams of the Western Upstate of South Carolina has you covered with a list of things to check on before the big day. 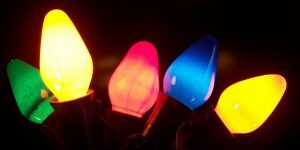 Firstly, make sure you are using safe lights around your tree and other places within your house. Old-fashioned lights produce much more heat than the newer – LED – lights. As a result, the older lights make it easier to start fires when the tree gets drier. The last thing you need is to spoil the holiday with unexpected emergencies. So, go with the safer plan and use the newer lights. Next, be careful where you place the holiday candles. The candles themselves are not the problem. However, placement is. Don’t put them next to curtains or fancy items that are flammable. It may sound simple, but many fires have started because people don’t think of this fact. Also, remember to put out the candles before leaving the room for extended periods of time. You never know if the candle will be knocked over for some reason. If you’re not there to catch it, problems will arise. Lastly – and this is a huge issue – make sure you plug your wires into separate outlets. We realize the tree and many other decorations need to be plugged in. But, plugging them into the same spot will overload the wires and cause a fire. Likewise, don’t depend on extension cords. They can only hold so much power before they too can become overloaded – and overheated. Don’t risk it. Be safe. Besides, spreading the decoration around the house will give the entire house a festive look. The Powell Group encourages you to think about safety as you put up your decorations. Our team members can give you the resources you need to answer all of your questions.